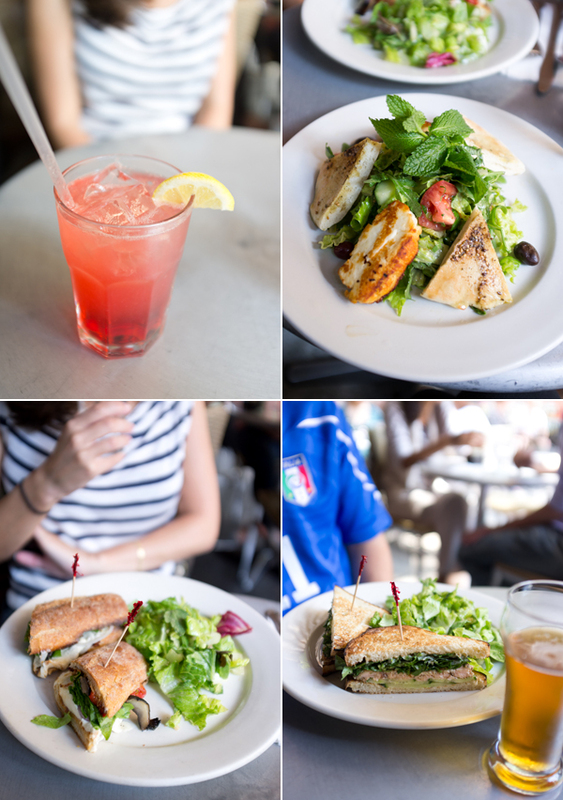 It's been a while since I've had a proper dining out, but here's some recent fun with the x100 and nearby food. I have some issues with focusing on this camera, but otherwise, it's a nifty restaurant camera that isn't quite as ridiculous and imposing as the 5D. 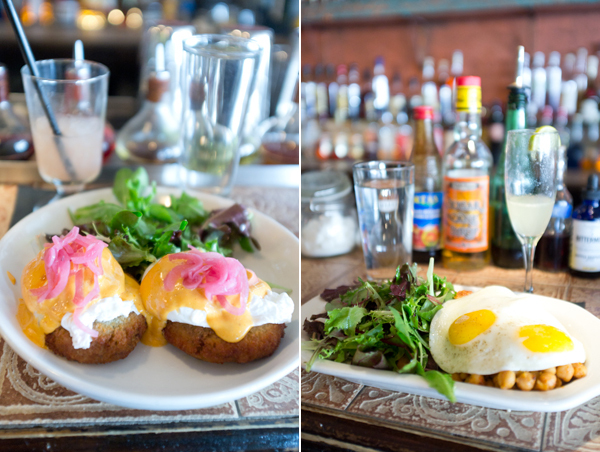 Chorizo benedict (left) and chickpea hash (right) from El Cobre's brunch menu. J and I went again two days ago. Safe to say we're going to eat through the whole menu soon. My haloumi salad + Lauren's mozzarella sandwich and Ian's smoked salmon (I think?) sandwich from a lazy lunch at Cafe Orlin. As far as unpacking goes... well, it hasn't. I ache for the day all cardboard boxes are out of sight. How do other people manage to get settled in to a new place so seemingly effortlessly! great shots, the sandwiches look really yummy. Haloumi salad! I'm so jealous. I've never been able to find haloumi here. That mozzarella sandwich looks delicious too. Ok, I need to have me that chorizo benedict, like NOW. I agree about the X100 being great for shooting in restaurants, but yeah, the focus system drove me nuts the first 20 minutes or so out of the box. You definitely get used to it though.